The Press of Robert LoMascolo: Out & About . . .
Out & About . . . Rob was a participant at this year’s American Typecasting Fellowship Conference (ATF) in Salem, NH. ATF attracts both professionals and hobbyists from the US and Europe who wish to preserve and further the historic equipment and craft of casting metal type. 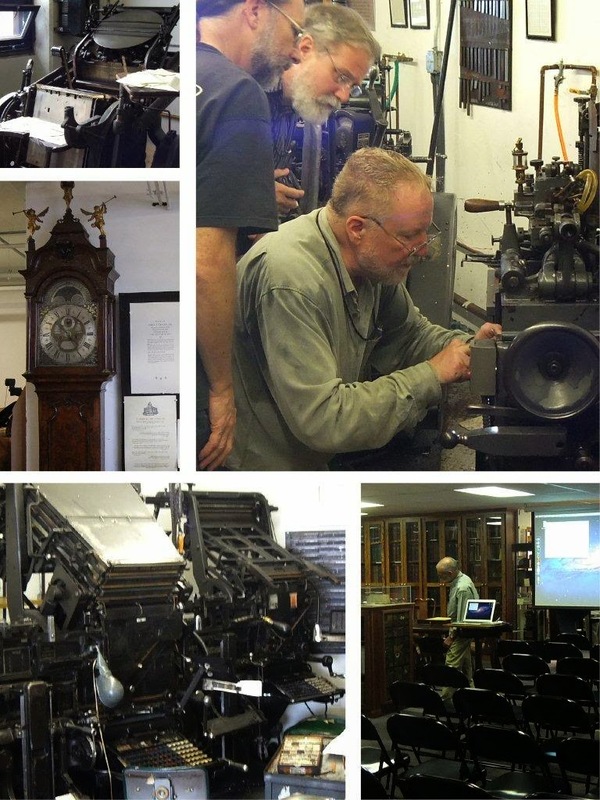 This year the conference included excursions to The Museum of Printing in North Andover, MA, The Frank Romano Library, and Firefly Press in Allston, MA.